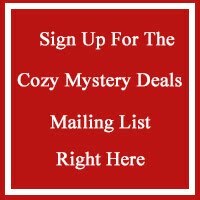 You don't want to miss this cozy mystery deal! Join Margaret as she investigates another grisly mystery that is far from fun and games! Margaret is being taught new tricks of the trade – Zach is helping her build a website for Nichol’s Candy Store to help promote her tantalizing sweets. Especially when Mark Sheridan appears to all shop owners both sides of in the street with a briefcase and a proposition to demolish their premises to make way for a large strip mall. He is met with some harsh backlash. Even sweet gestures are sometimes hard to swallow. Margaret grows concerned when Mark doesn’t appear to collect his chocolate order and takes time to drop it off to his house as a good-will gesture, only to find him face down in his living-room – dead. This tragedy isn’t the only thing weighing on her mind. 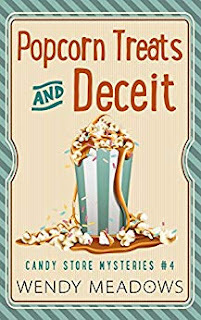 Her budding romance with Detective David Graham is slowly wilting before the bloom – and one sugar-coated lie threatens to end their relationship for good. The tension proves challenging when Margaret is invited to join the investigation as people come forward and report that Mark was not afraid to push his limits to get what he wanted. With evidence leading her astray and David blocking her input at every turn, Margaret will have to fight tooth and claw to hunt down the killer before they turn their attention on another victim. These are shaky foundations to walk across - and a safety net is not guaranteed.